Referral marketing is the lifeblood of any successful practice, but it can be intimidating when you’re trying to cultivate referral sources. Maybe you’re not naturally outgoing, or maybe you are self-conscious when you ask someone to refer clients to your practice. 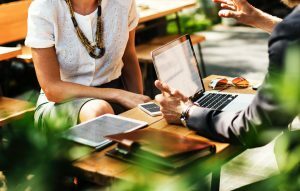 Even if you don’t have any jitters to overcome about asking for a referral, you can still benefit from employing The Strategic Interview™ approach developed by Atticus when you connect with your referral sources. Why are referral marketing sources so important? Referred clients typically bring a higher value per case with less acquisition costs. There is less “sales” involved in hiring you because the prospect has basically been pre-sold on why they should be hiring you. 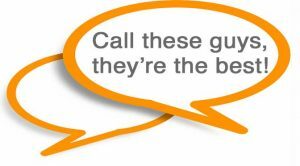 Referrals also feel good – if you’re known to others as the best, that’s a great reputation that can give you confidence. Having great referral sources is like having an endless annuity for your practice. It makes it difficult to unseat you as the dominate player in your market. And, you get three great rebuttable presumptions – because the client was referred to you they naturally assume you’re honest, you’re fair and you’re competent. Succeeding with the Strategic Interview™ in your referral marketing process is a skill, not an innate talent, which means it can be learned. To begin using this strategy, you’ll want to know who to talk to, what to say, and how to say it. The “who” consists of the people who make up your top 20 referral sources. These are typically existing clients, the other professionals they use (i.e. accountants, insurance agents, other attorneys), any attorneys you refer work to, members of any boards you serve on, your family, and your friends. The “what” is the respectful request you’re making for this person to refer you new clients. The request can be preceded by an effective and compelling story that helps you sell your services (i.e. how you helped another referral source, how you helped a client, how you resolved a specific issue). The “how” is the delivery of the request and when you should make it. Will the request come over the phone, in person, at a networking event, or in a meeting at your office? When during the conversation is the best time for you to make the request for a referral? It really depends, and each situation is likely going to be different. Employing this strategy requires some detailed thinking on your part about defining your best possible referral sources, the context and content of the conversation you want to have with them, and how to deliver your message in the most effective way so that you’re fully heard and understood. Write two or three scripts and practice them in front of your spouse or someone at your firm. They’ll more easily see where you need to improve your message and delivery than you would by practicing in front of a mirror. After a while, as you become more comfortable talking about your practice and the kinds of clients you want to serve, you will be able to talk extemporaneously and go off the script when it feels right. Before you phone a referral marketing source and say, “Please, refer work to me,” you need to be able explain why you’re requesting to meet. You could simply say, “I’d like your opinion on …” and bring up an issue that may be affecting their clients that your practice specializes in resolving. Or, you could say you enjoyed working with them on a previous client’s case and were wondering if they had a similar case the two of you could work together on again. When you meet with your referral source, ask questions about her business — and ask follow-up questions to show you’re engaged in the conversations. Be sincere. You’ll likely make a personal connection, you’ll learn a lot, and you’ll create more opportunities for yourself. A good strategy, especially when dealing with non-lawyer referral sources is to ask what frustrations they’ve had when they’ve dealt with lawyers in the past. Write down what they say because those frustrations are marketing gold. The more you can understand their frustrations, the more likely you can design a solution for them. After the meeting, enter detailed information about what was said and what each person committed to into your contact management software. Schedule a follow-up meeting, especially if there is a big potential for work from “A” level clients referred to you by this source. If you can help your referral source by sending her a referral, introduction or connection, do it. For some it won’t matter, but for others it can make all the difference. And always — always — find a unique and genuine way to acknowledge and thank your referral sources whenever you are handed a prospective client by them. If you’re stumped on how to be unique in expressing your gratitude, know that nothing is easier to do or more effective to communicate your appreciation than a handwritten thank you note. If you own a law firm, you need to make asking for and receiving great referrals a daily practice. 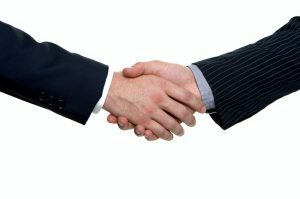 I’ve often heard a deep sigh of discomfort from lawyers when the topic of asking for referrals comes up. But I’m here to tell you it doesn’t need to be uncomfortable. If you are doing great work, of course, that will speak for itself. Many clients will be grateful and eagerly spread the word about their satisfaction with your firm. But what about the people who hired you, got what they needed, but fail to mention your firm to their friends and family when the need for a skilled attorney arises? It’s a fantasy to think every client will remember to recommend you. So, it’s your job to remind them. This can be done in a manner that doesn’t feel like selling or desperation. Asking for a referral is a stumbling block for many lawyers, but it’s not impossible to overcome. It’s as simple as changing your mindset. This is where your marketing strategy comes into play. Pay attention to where your clients are coming from. One way to do that is to implement a “Thank You” program for referrals. Engage with your referral network, meet with them, reach out to them on a regular basis. Whether that engagement comes via an email, a phone call, or meeting over coffee, touching base regularly with referral sources strengthens your bond and will reward your practice in ways that set you apart from the competition. It’s less about being sales-y than about controlling the narrative of your interactions with clients. This is where many lawyers tell me that they hate marketing and throw up their hands. However, effortlessly asking for referrals and setting follow-up meetings are skills that can be practiced and perfected. It boils down to this – if you are exactly where you want to be, then keep doing what you are doing. However, if growth is what you seek, you must step out of your comfort zone. Set yourself up for the win! Fall is here and it’s time to begin implementing your law firm’s holiday marketing plan. Wait, though. You do have a holiday marketing plan, right? If you do, great! Let me know what you plan to do and the results you’re shooting for this year. I’d love to compare ideas. But if you don’t, then I’ve got some great tips below to get you started. Committing to creating your firm’s holiday marketing plan goes a long way to strengthen your law firm’s referral network and grow your practice. In doing so, you can enjoy the season and strengthen your business relationships. This isn’t about buying the biggest and most audacious gifts to stand out from the crowd. It’s more about acknowledging your practice’s top referral sources and strengthening those relationships. I have heard ideas that range from law firm owners dressed as Santa Claus delivering gifts to throwing parties with eggnog and snacks. It’s all about what you feel is the best way to say thank you. You may feel like you don’t have enough time to do some or any holiday marketing. If you have someone you can delegate these tasks to, do it. If not, hire a holiday marketing assistant. Developing and implementing your marketing takes time, but the payoff can be invaluable to your practice. Do more than just send everyone on your firm’s address list a holiday card that will potentially go unread. Take an opportunity to acknowledge top referral sources and key clients who generated revenue. Remember, a referral source who feels your gratitude can add thousands of dollars’ worth of business in the years to come. Research what these specific people may like. This makes it possible to say thank you throughout the year if you don’t want to save it for the holidays. This is a great way to show key clients and colleagues their value to your firm! While you may not want to hand deliver gifts to your referral sources and clients, there is still an opportunity to set up a face-to-face meeting with referral sources. A simple lunch or dinner can strengthen bonds with a valuable client or referral source. In addition, there is nothing like having a clients who become your friends. They become rabid fans and believe in what you do. That kind of marketing is a cornerstone of growth. The end of the year can be hectic. But it is also a good time to focus on the following year’s goals. Be strategic. Do you have a marketing plan in place for the next year? Are you comfortable with where your firm is going? What changes would you like to implement for the future? So, set aside some time to set next year’s goals – everything from doubling client referrals to growing your social media following. Write it all down. Plan your work and work your plan! I want to reinforce here that your extra efforts on holiday marketing can be the foundation for next year’s marketing goals. Set yourself up to win! Beyond what I’ve shared above, there are many options for maximizing marketing and time during the holidays. The keys are to be thoughtful, sincere and focused. This bit of extra effort pays off in increased revenue and good will toward your firm. When you think of your clients, do a few favorites come to mind? Do you know why they’re your favorites? Did they come from referrals? Have you taken time to write down the characteristics of these A+ clients to create a client profile? If so, that’s the first step to creating your Clients-Referring-Clients strategy. If not, it’s time you did. But that’s just the beginning. Having a strategic mindset around how you are going to get referrals from existing clients is a necessity to ensure that your client base grows at a steady or speedy rate. Most lawyers don’t have any type of strategy to gain these types of referrals, but you can by following the steps outlined in this one hour recorded webinar I led for ElderLawAnswers called Getting Referrals from Existing Clients. In this webinar recording, you’ll learn the steps it takes to up your client-referring-clients success rate. If that’s you, don’t fret, that’s how most attorneys think. But you’re no typical lawyer if you’re looking for ways to enhance your practice. Here’s the short list of to-dos to get you started, but if you want to really up your strategy, then watch the full webinar for tips on building out each of these steps to create a strategic plan that is sure to bring in more business. Avoid using a virtual answering service. Hiring the right receptionist who will build good relationships with your clients is essential. If you know what your clients want most and what your law firm does best, then you’ll have the winning combination to create satisfied clients who will bring in A+ referrals. Learn more on the on-demand webinar now. Summer is coming to a close, and it’s time to begin planning your law firm’s holiday marketing strategy. I’m not talking about advertising. I’m talking about connecting with the very people who put coins in your coffers: referral sources and existing clients. What you spend is up to you. It’s the sincerity behind a thoughtful gesture that makes an impact. Your choice of gift can reveal that you really thought about a person’s interests, hobbies or needs. Your consideration will be noted and likely rewarded in the form of more great referrals and return business. Identify and acknowledge your practice’s top twenty referral sources. What would be a unique gift for each person? This is where you might spend most of your holiday budget since you are thanking the people providing your best new clients. From within that group, identify your “next level referral sources.” These top three or five people provided your firm its highest revenue-generating clients this year. Along with a unique gift, include a high quality thank you card containing a note personally inscribed by you. For your key clients, what could you do for them so they know how important they are to your firm? The gesture or gift depends on your practice area, and whether you receive recurring business from these clients. And again, including a handwritten message makes a much better and more lasting impression than a card signed by your staff (or a stamped signature). If at all possible, have a staff member lead this project. If no one has time, then hire a temporary marketing assistant. You’ll still be filling out thank-you cards and choosing the gifts, but the actual number-crunching, store shopping, and package wrapping needs to be managed by someone else. I hope this has helped you and your firm. If you have any questions or ideas you’d like to share, please contact me.